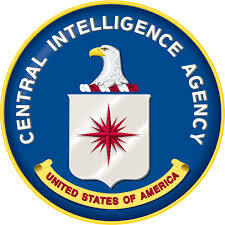 Thanks to extensive media coverage, both positive and negative, and to countless spy novels and movies, the Central Intelligence Agency (CIA) is the best-known intelligence unit within the U.S. government, virtually synonymous with intelligence generally. In fact, CIA (it’s “the Agency,” or “Central Intelligence,” or “the Central Intelligence Agency,” but never “the CIA”) is only one of many intelligence agencies within the federal government, all of which contribute to the development and analysis of information used by government leaders to formulate foreign policy. CIA, an independent federal agency, was created in 1947 at the dawn of the Cold War. The Agency was initially charged with coordinating the work of military and civilian intelligence analysts around the world. That mission continues today, though more specialized, separate units such as the National Security Agency have taken on some of CIA’s former responsibilities. Its current charge is to “preempt threats and further US national security objectives by collecting intelligence that matters, producing objective all-source analysis, conducting effective covert action as directed by the President, and safeguarding the secrets that help keep our Nation safe.” Among its concerns are the monitoring of nuclear-arms proliferation, terrorism, international organized crime, and drug trafficking, all of which are rightly seen as threats to national security. CIA itself does not make policy decisions. Neither, contrary to widespread opinion, does it routinely spy on American citizens. Its mandate is largely to collect information related to foreign intelligence and counterintelligence, and only if an American citizen is suspected of working for outside governments or terrorist organizations does the Agency have interest in his or her doings. CIA, naturally enough, does not widely advertise its activities, particularly those of a covert nature, and its staff and budget are classified. However, based on documents leaked by Eric Snowden, the Washington Post reported last year that the Agency’s budget was $14.7 billion, a 56% increase from the prior decade. If the information is correct, CIA’s discretionary budget is larger than each of of the Departments of Commerce, Labor, Interior and Treasury. The Agency employs an estimated 21,000 workers, including specialists such as scientists, electrical engineers, mathematicians, linguists, and computer analysts, as well as field operatives. A survey conducted by the Washington Post in 2010 holds that the overall intelligence community occupies office space totaling more than 17 million square feet, the equivalent of nearly three Pentagons. On CIA’s main campus, which comprises 258 acres, the headquarters complex contains at least 2.5 million square feet of office space. The Agency owns and leases buildings elsewhere in the District of Columbia, the country, and the world, though, for obvious reasons, no good figures are available as to their location and extent. Even the details of the Agency’s office space in the World Trade Center, destroyed in the terrorist attacks of September 11, 2001, remain unknown outside the halls of Langley. CIA does not allow general access to its headquarters in the Virginia suburbs of Washington, D.C., which the Agency’s first director, Allen Dulles, selected precisely because it was private and secure. It maintains a public presence, however, through the publication of the highly useful and readily available World Factbook, a frequently updated almanac of information on world events, as well as of millions of other pages of documents that are released each year. For more information, visit the Agency’s website at www.cia.gov.